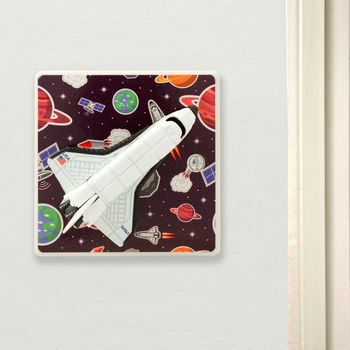 Decorative Solar System and Planets Wall Decor, a Space Rocket Light Switch with a real twist! 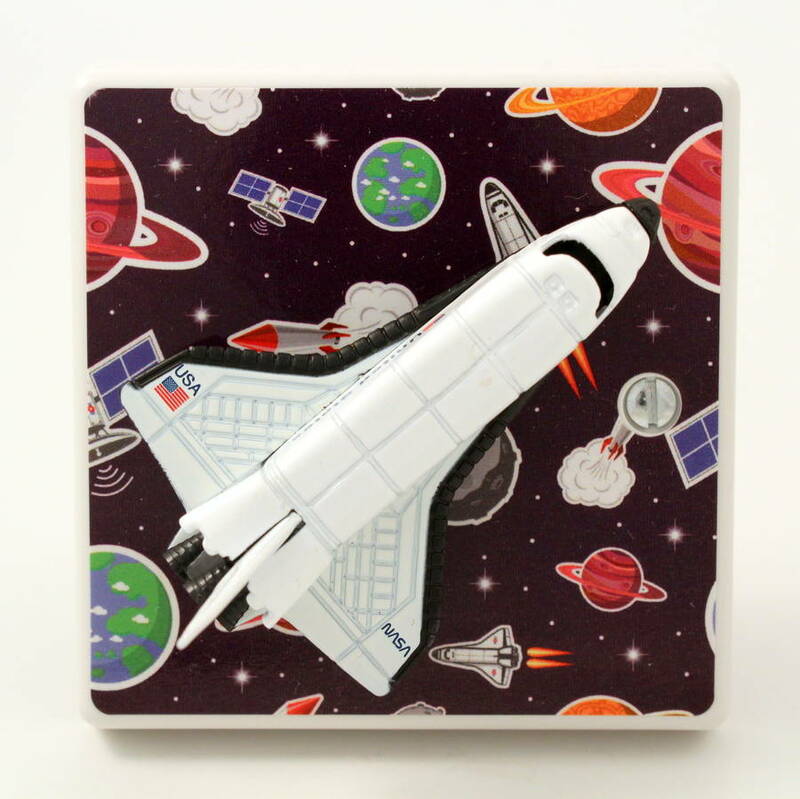 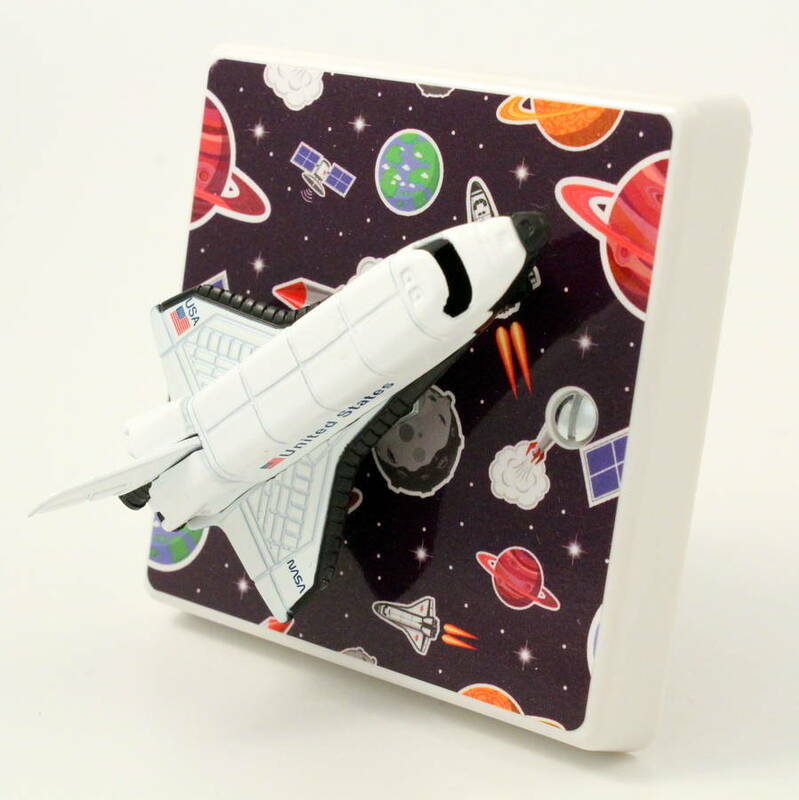 Install one of these space shuttle light switches in a childs space themed bedroom instead of their usual dull plastic light switch, then sit back and wait for the compliments! 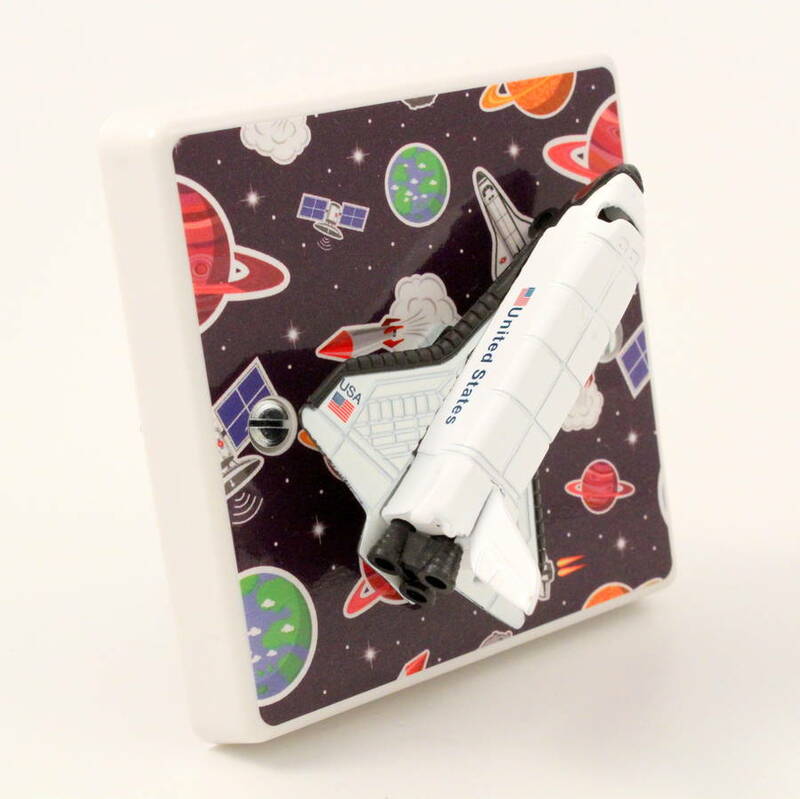 Simply turn the rocket to turn the lights on. 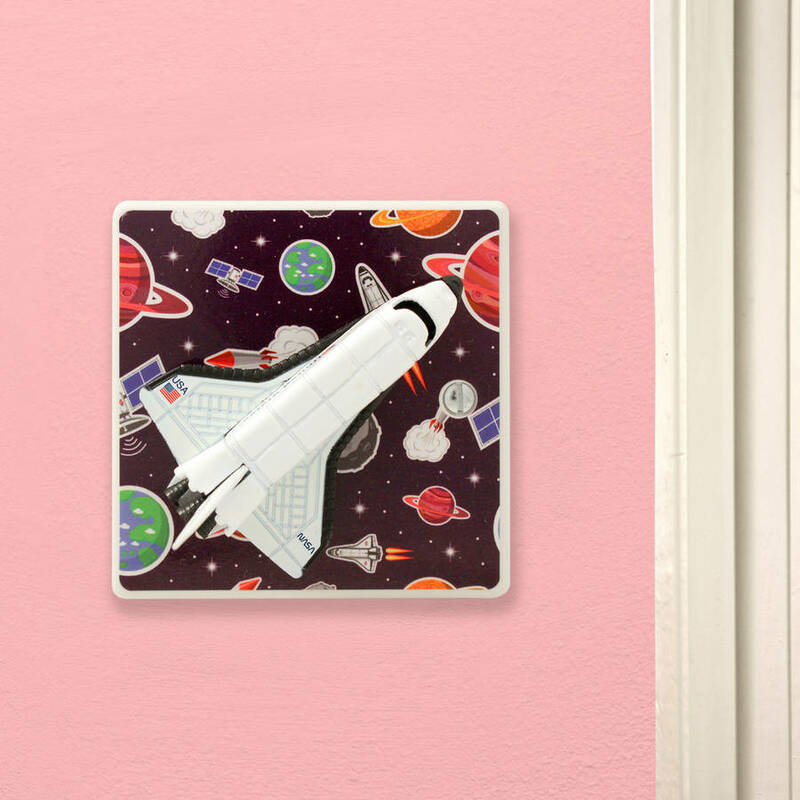 Why buy a flimsy space rocket light switch cover plate when you can exchange the whole light switch for one which will quite simply demand attention by all who enter the room. 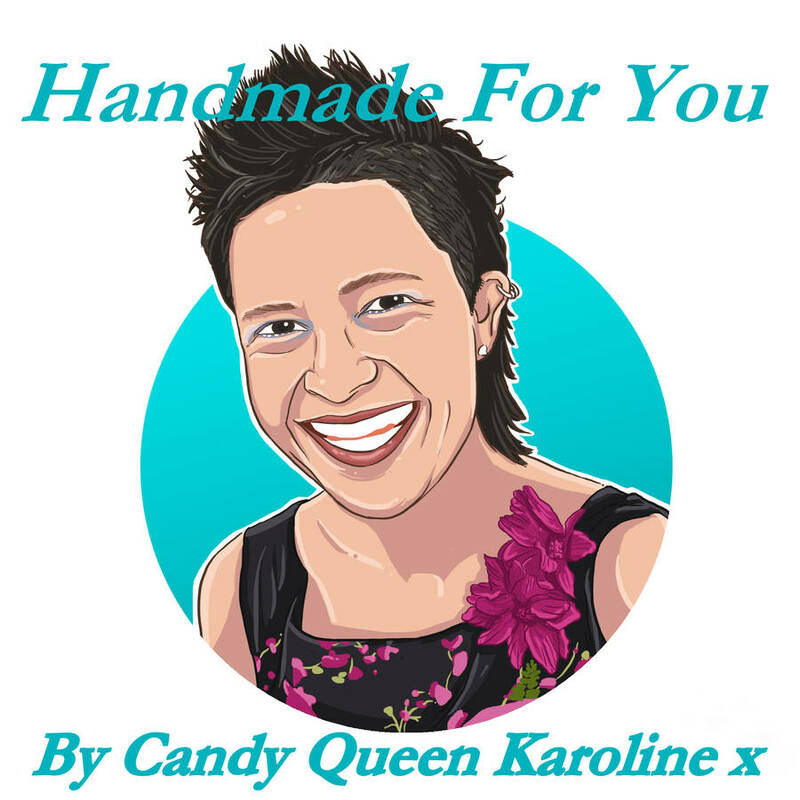 Each light Switch is made by hand in the UK and packaged individually in a gift box with the Candy Queen Logo making it a perfect gift, with an almost guaranteed Wow factor. 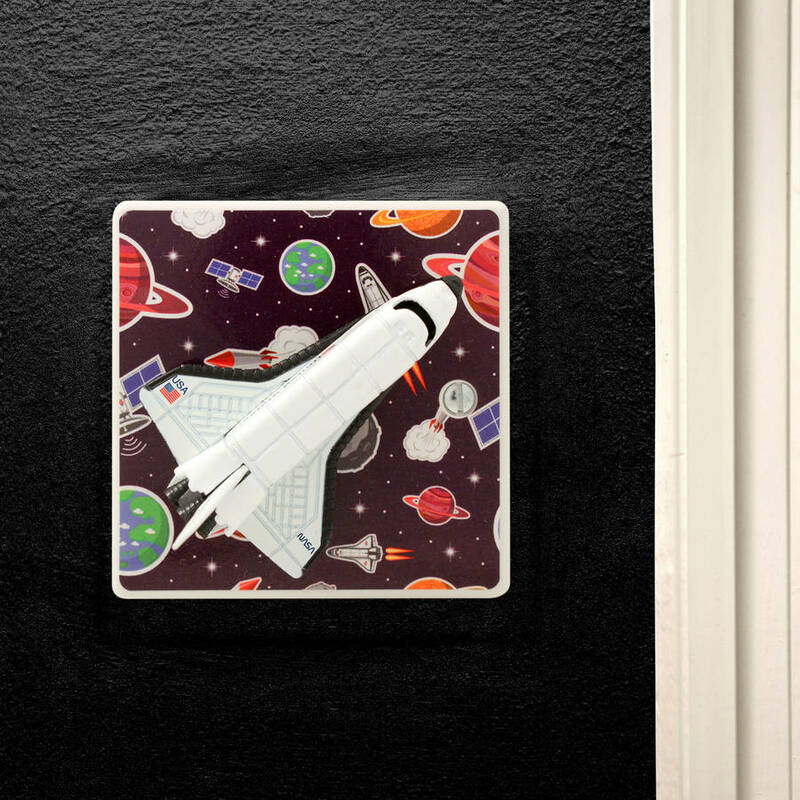 The perfect finishing touch to children's space themed bedrooms. Light Switch Specifications: - 1 way Dimmer switch, (400 w), with a rotary switch ('Click' On/Off) - Perfect for most bedrooms but NOT suitable for LED lights. 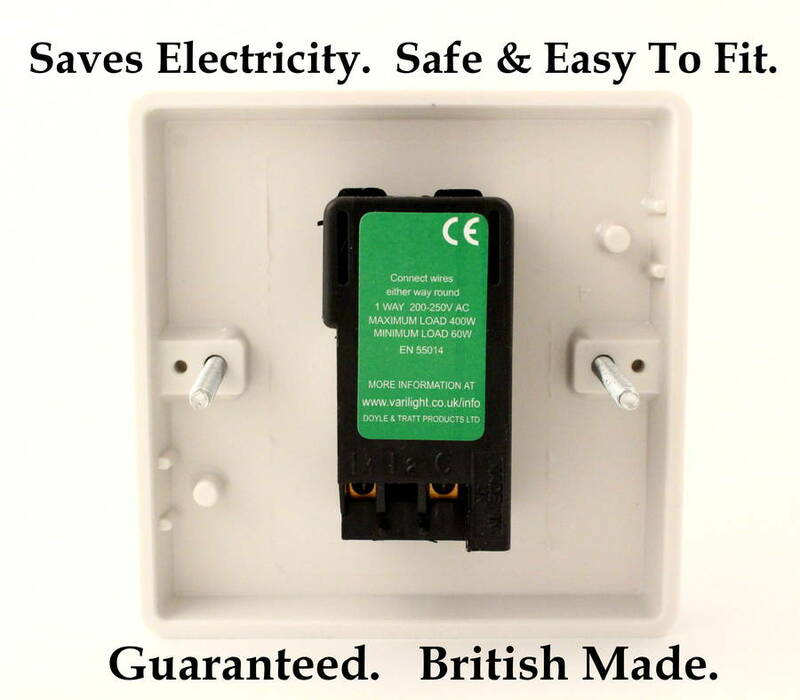 Candy Queen switches are recommended for mains voltage lighting and are perfect for bedrooms. 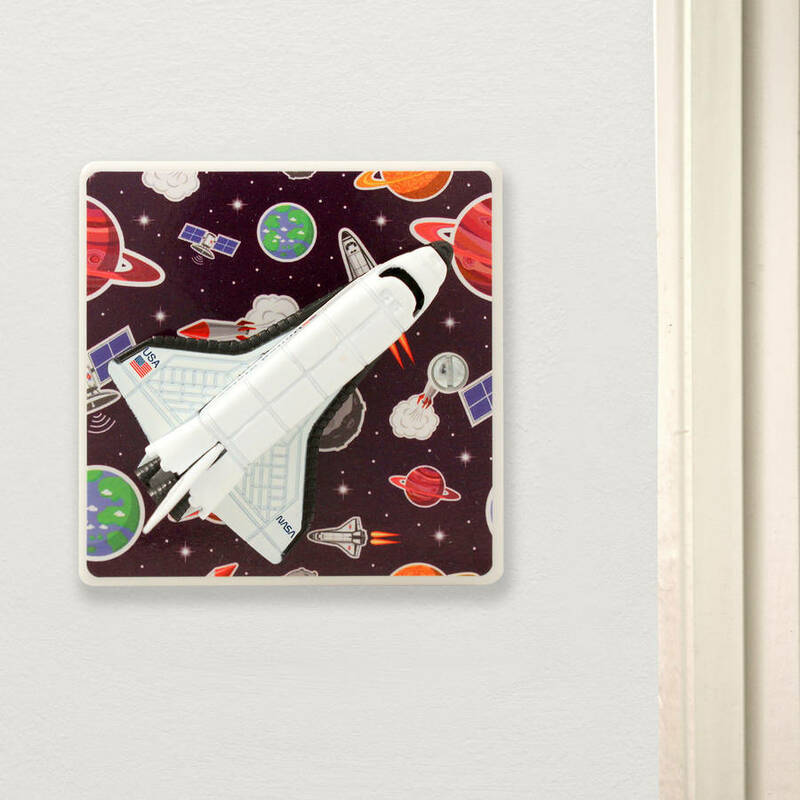 Unleash your inner designer, buy online today and add the finishing touch to your space themed room within days or give as a unique and totally original gift.